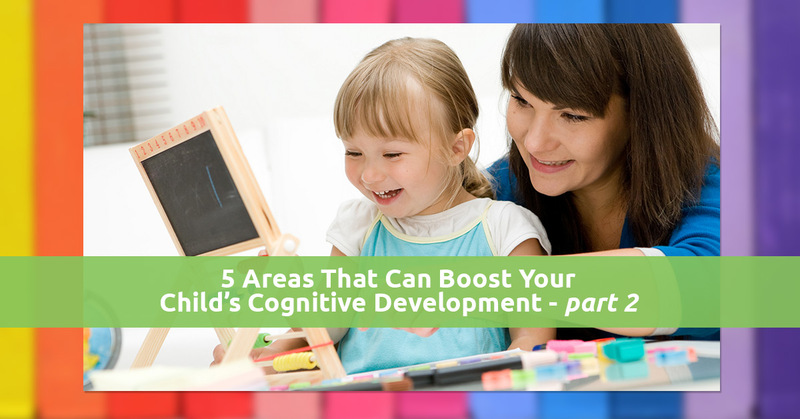 Boosting your child’s cognitive development means helping their brains to grow in the ability to think and understand. Doing a good job at this can give your child an amazing head start to all kinds of things in life, and we know that you want the best for them! In our last blog, we covered the first two areas that you can work on, with some ideas of how to implement them. In today’s post, we’ll cover the remaining three. Reasoning power is something that will develop gradually in your child, and if you have a toddler or preschooler, you can’t expect them to apply their reasoning power to differential equations or chess puzzles. However, you can give them simple reasoning opportunities that are on their level. It is intrinsically rewarding to the brain to solve something that it was trying to figure out. When your child finally arrives at the answer, the brain gets a dopamine hit that makes the child want to try again next time there’s a puzzle or problem. The trick is to give your child reasoning exercises that are not too hard (leading to frustration and failure) but also not too easy (leading to a lack of that sense of pleasure when they achieve it). Ask if your child can figure out how to get a container open. Try different types of containers with lids (e.g. yogurt, peanut butter, and mustard). Get them to identify colors. Ask what color different items are wherever you go. Point out letters in different contexts. For instance, when you’re at the store, recite the letters on the packaging of various items in your cart. Perception is your child’s ability to interpret what they are experiencing with their senses. This is a skill that you take for granted because of long practice, but your toddler or preschooler is just developing an awareness of how to interpret these things. Perception includes growing in awareness and understanding of what your child is seeing with their eyes, hearing with their ears, touching with their skin, tasting with their mouth, and smelling with their nose. Spend time looking at high-quality, interesting photographs with your child. Ask what they see and point out things for them to notice. Count on Rainbow Chimes for daycare in Huntington that offers top-notch early childhood development for your little one. Start the enrollment process today by contacting us. Don’t forget to ask for a tour of our facility.